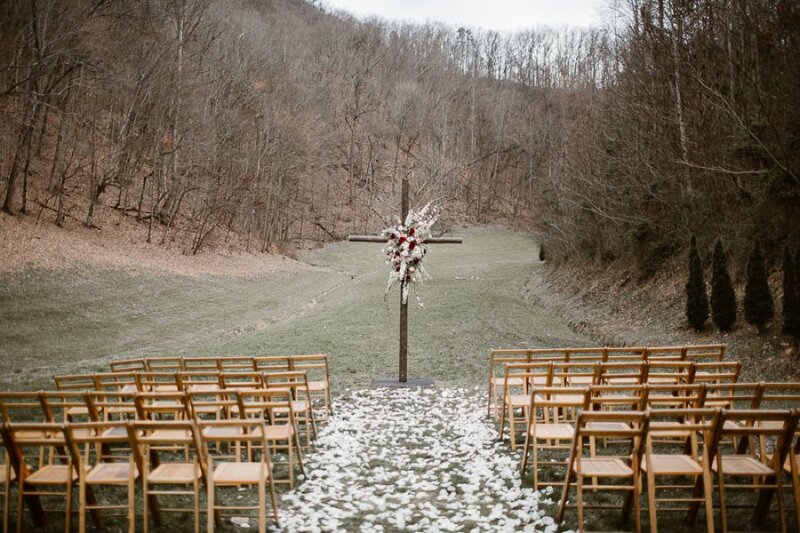 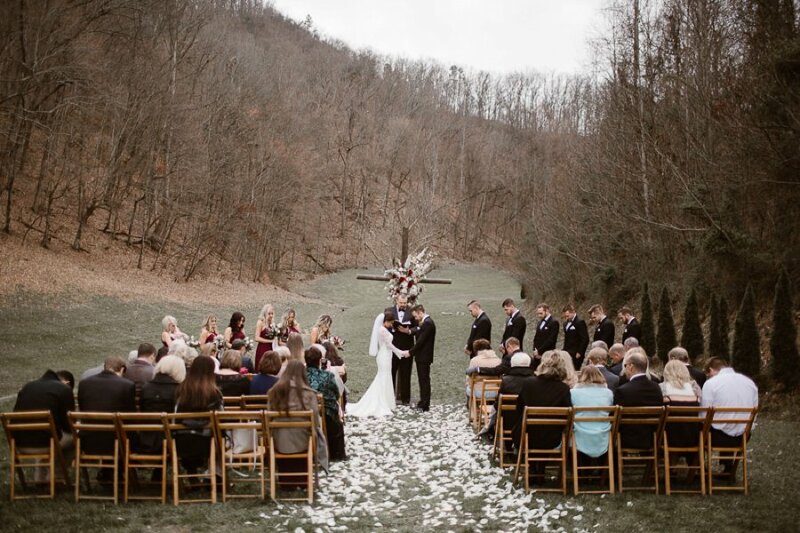 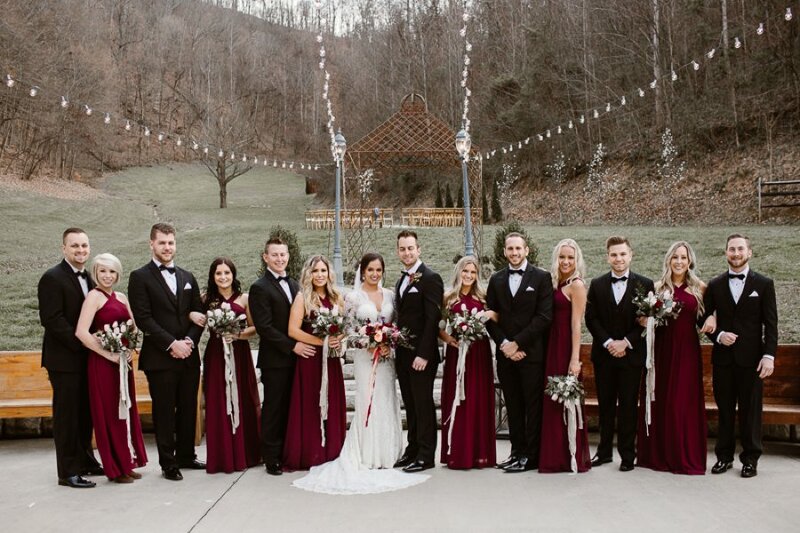 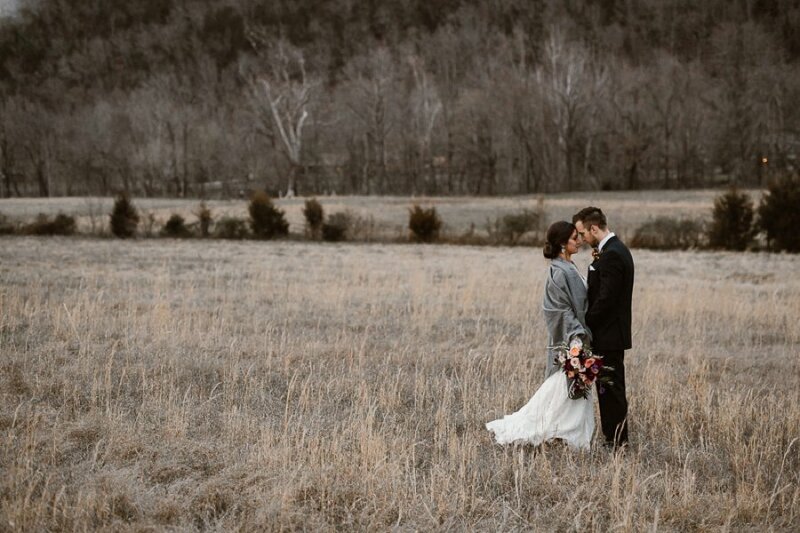 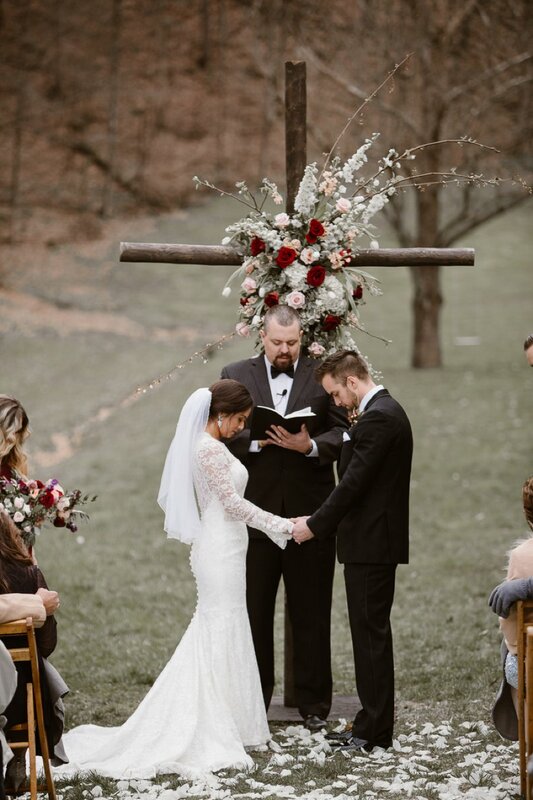 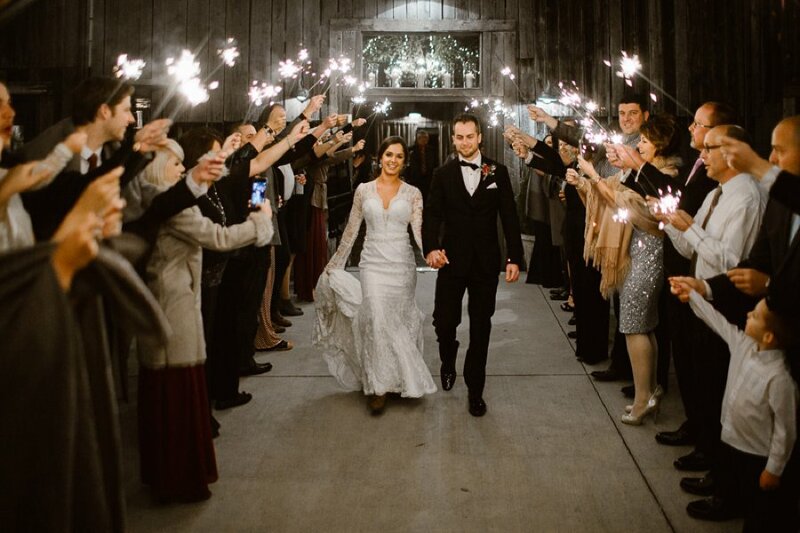 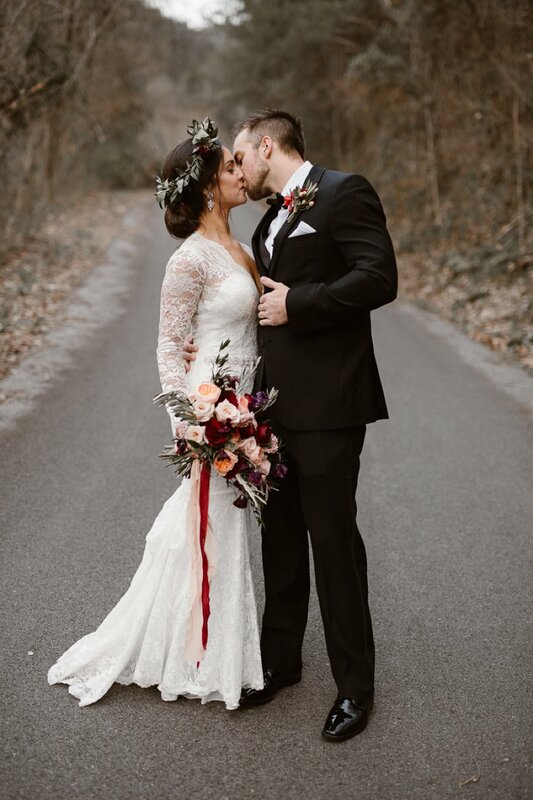 Set in the mountains of Tennessee, Sierra and Ryan’s elegant rustic wedding was jaw droppingly beautiful. 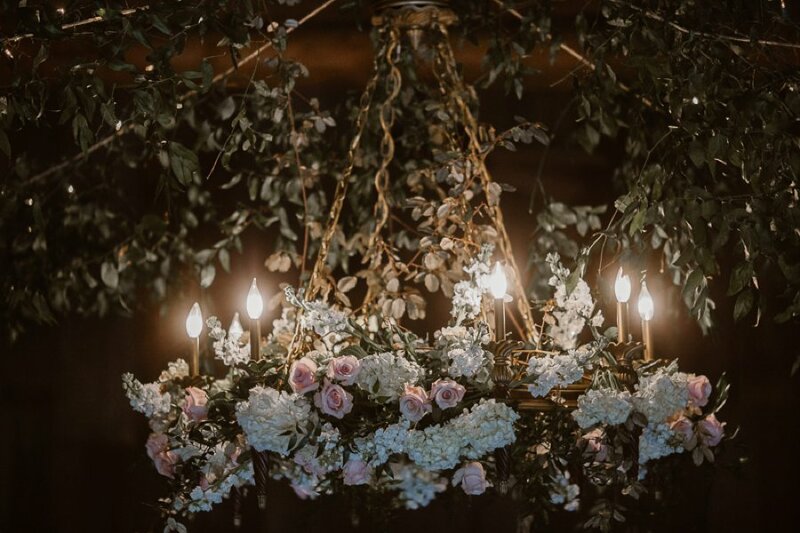 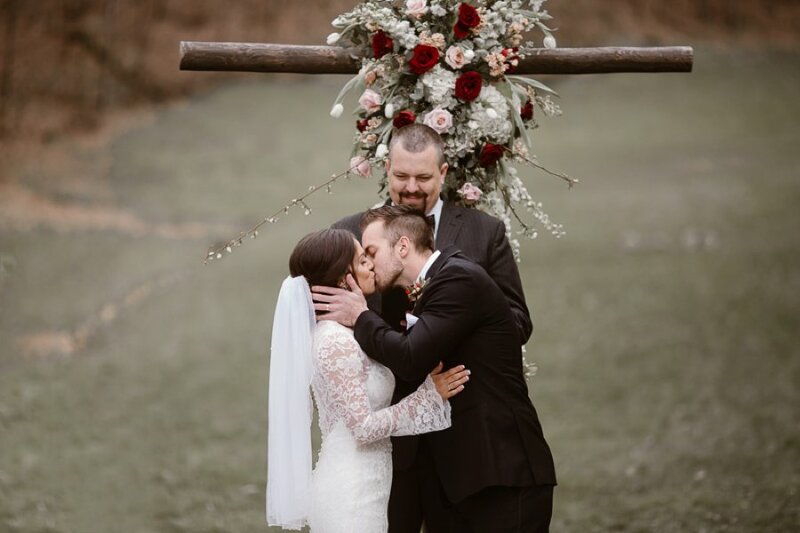 With a rich color palette of reds and whites, touches of flannel and warm fuzzy blankets, a cross dripping with beautiful blooms and a lush greenery chandelier that created a gorgeous focal point for their reception, we love every loving detail they incorporated into their wedding day. 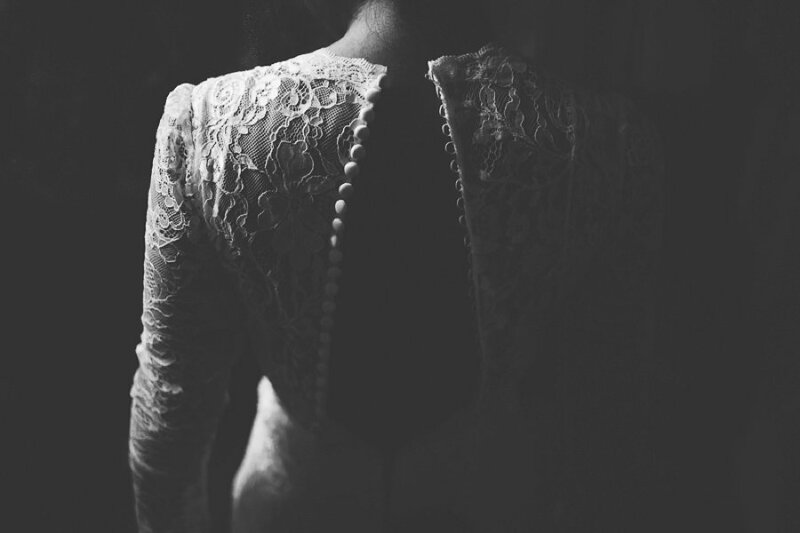 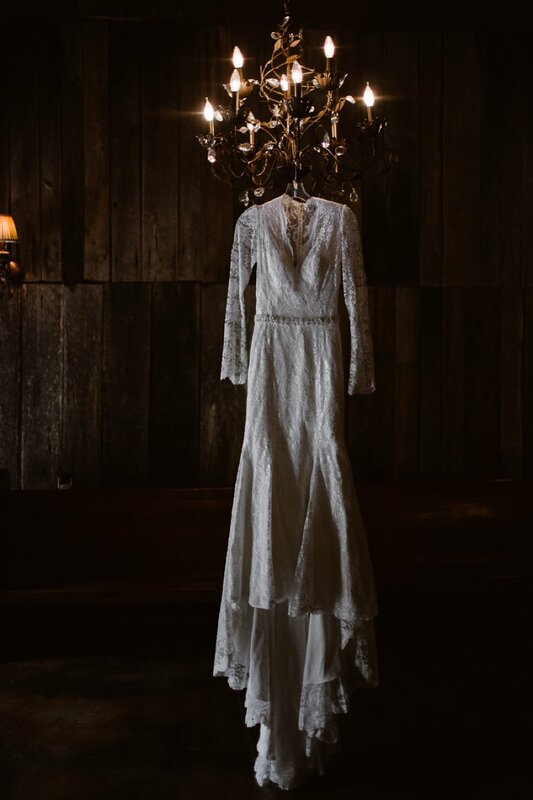 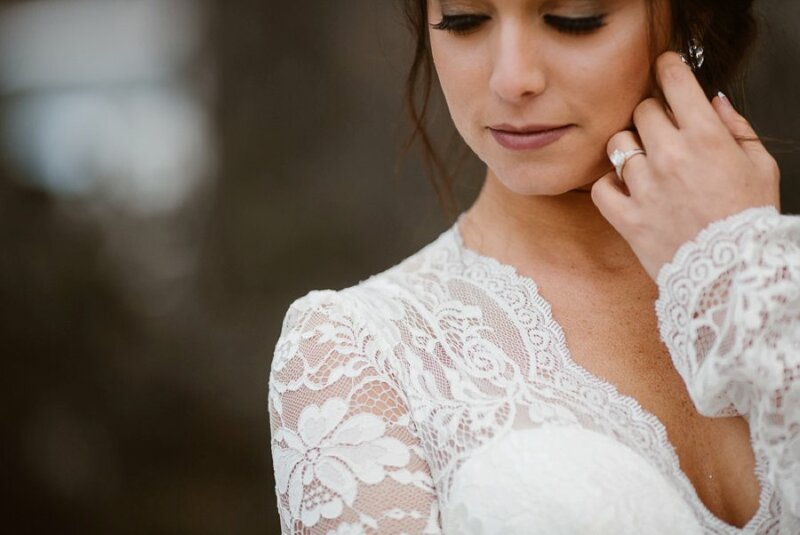 Sierra wore a beautiful, long-sleeved dress that fit her flawlessly. 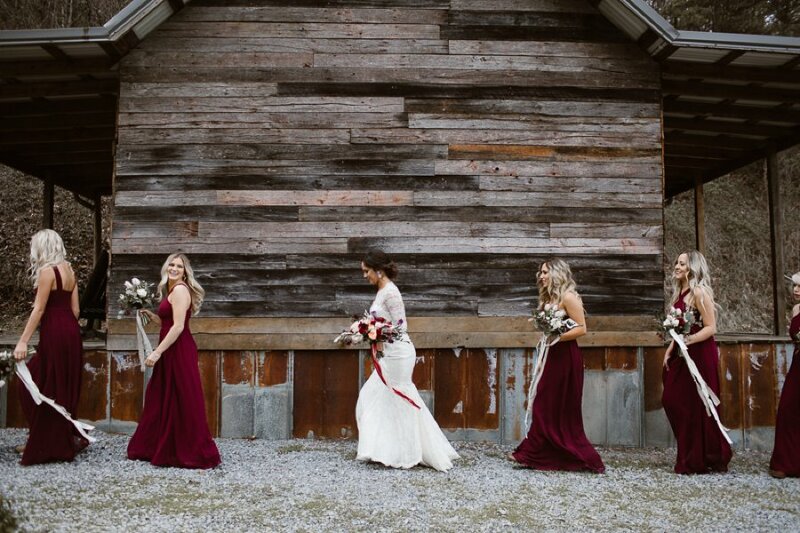 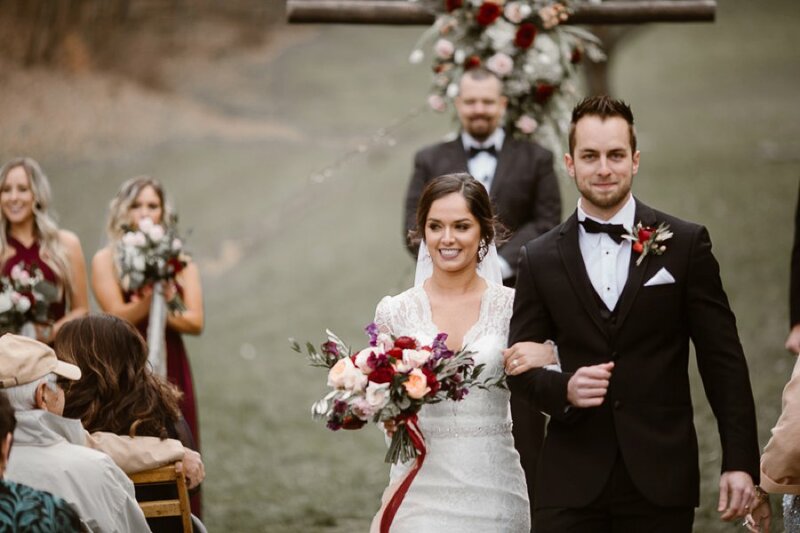 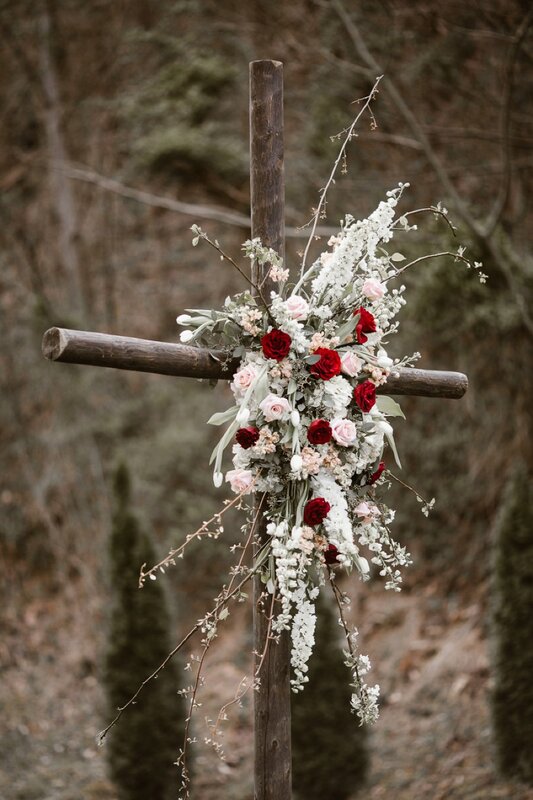 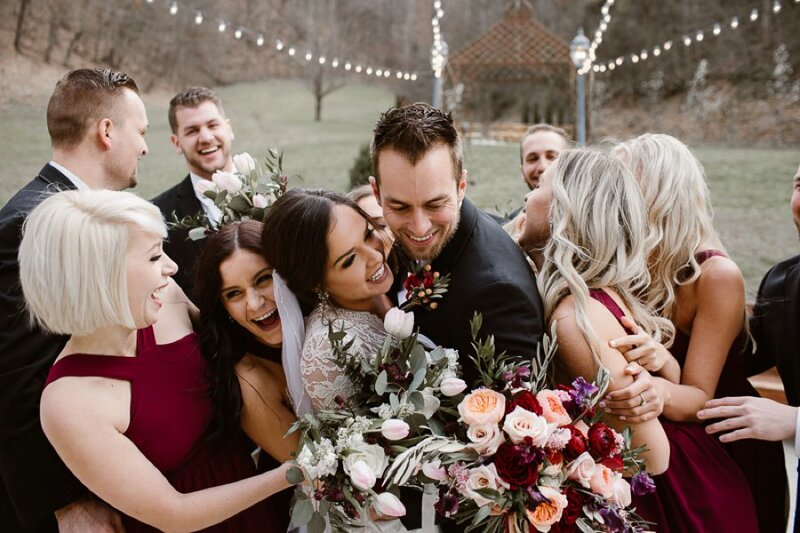 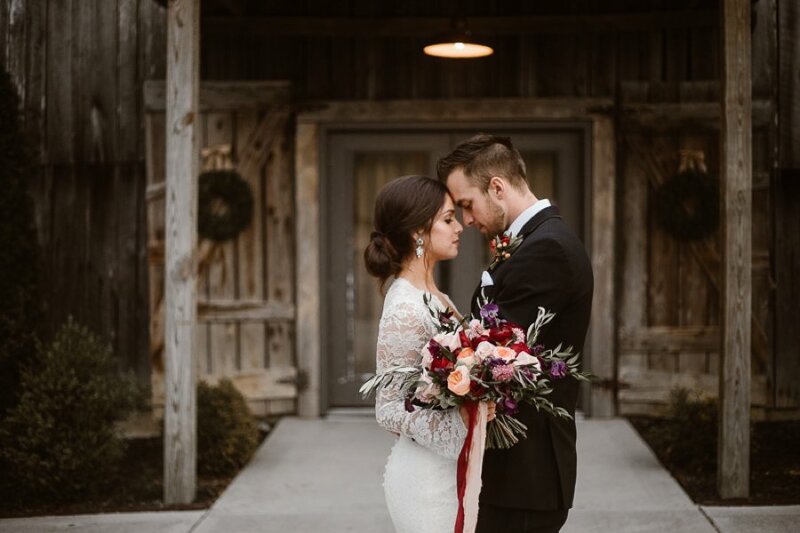 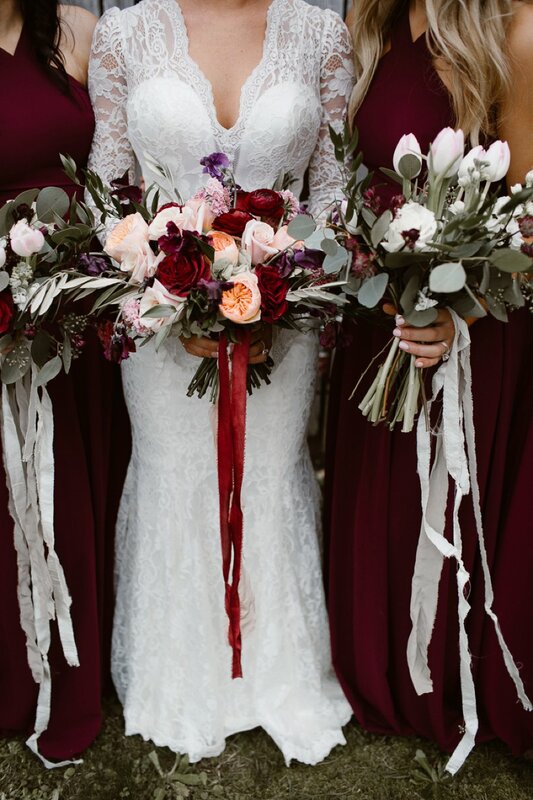 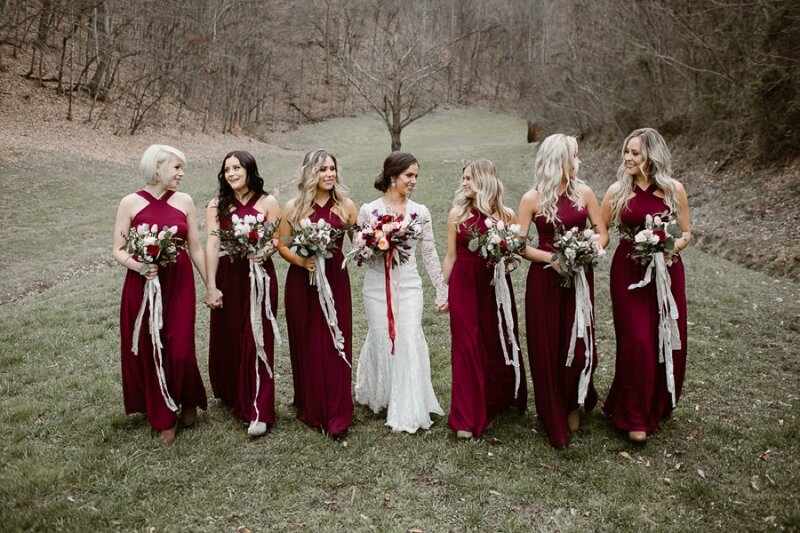 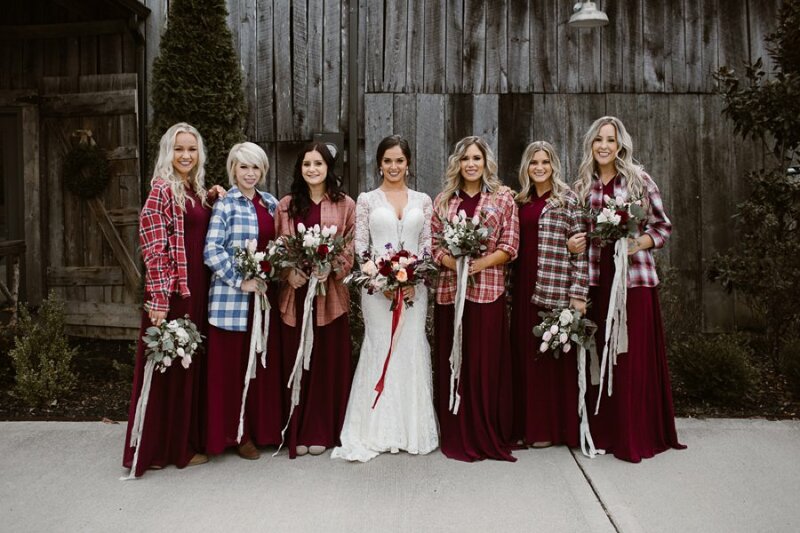 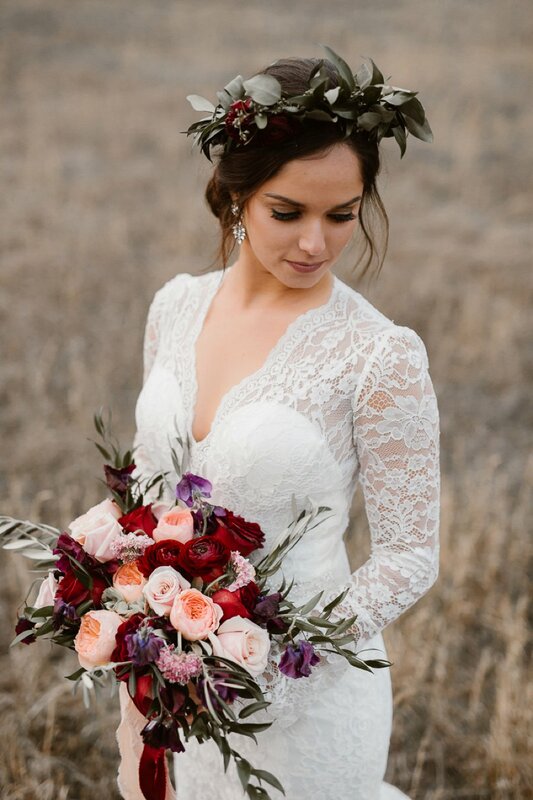 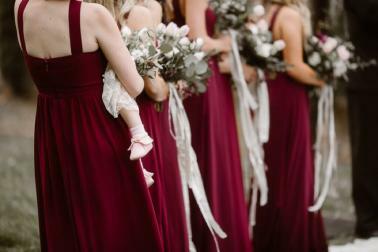 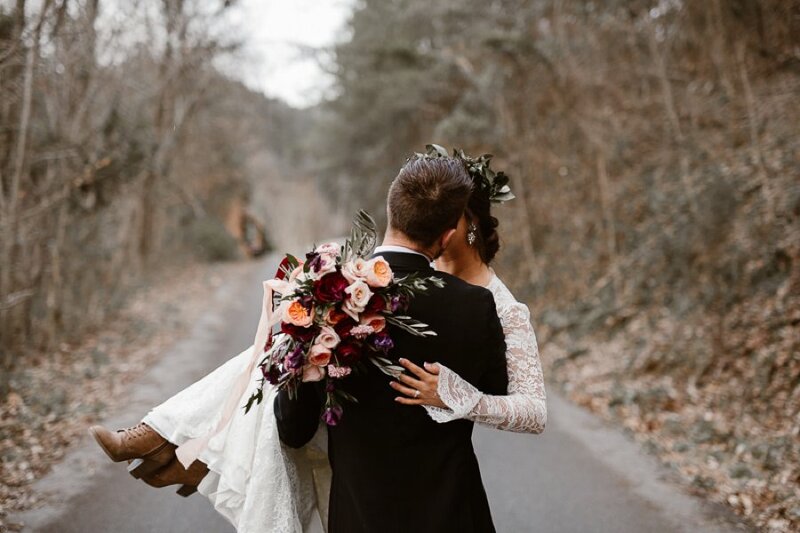 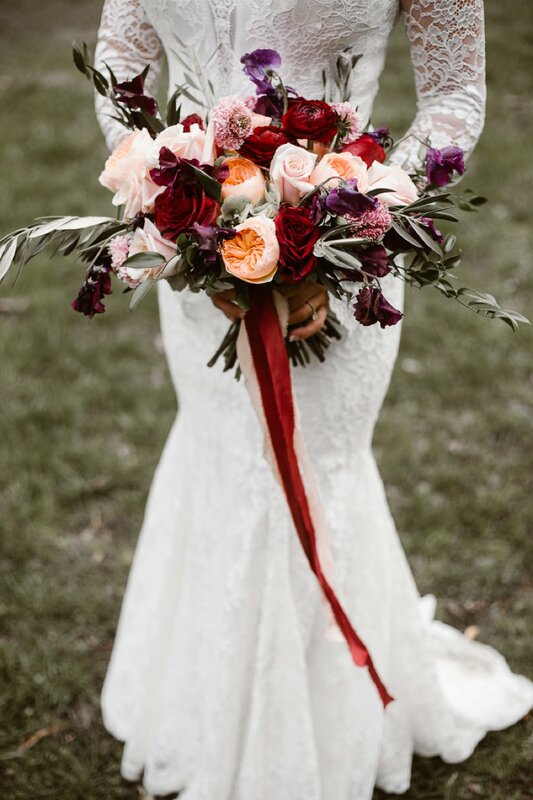 Megan Connors Floral created beautiful bouquets of red, ivory and pops of pink in a loose organic style that suited the wedding day style perfectly. 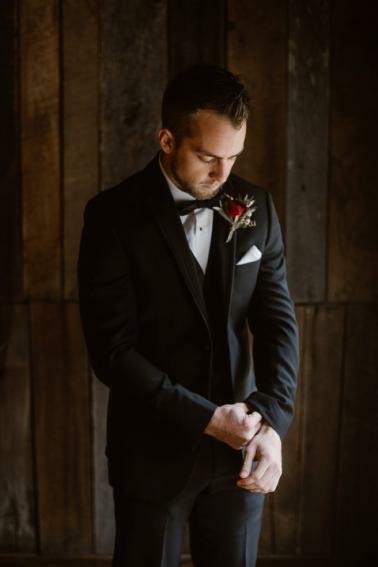 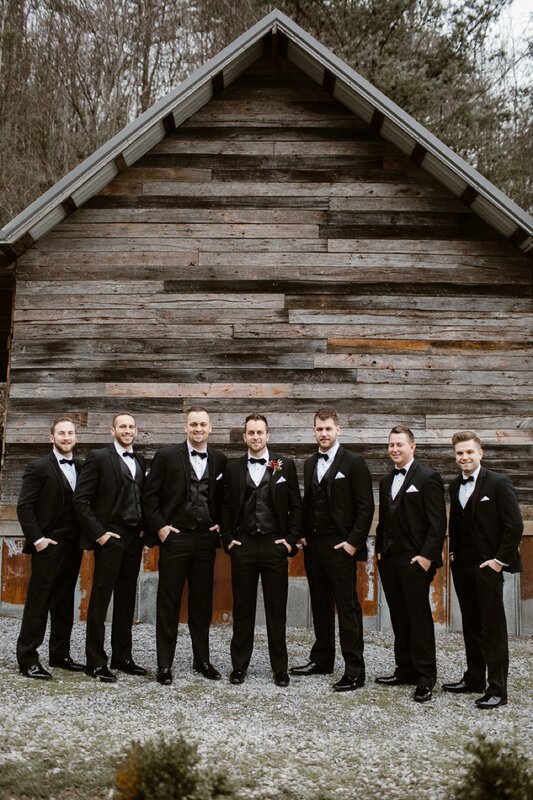 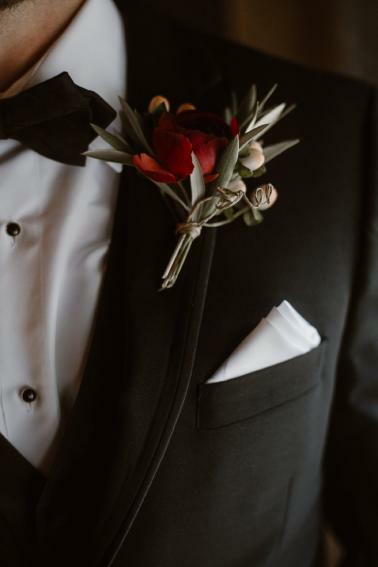 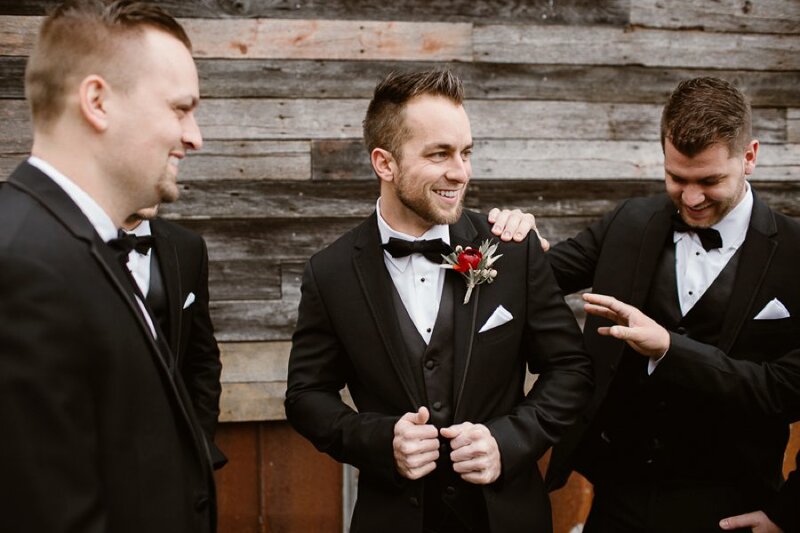 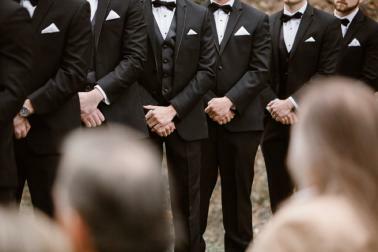 Ryan and his groomsmen wore traditional black tuxes, which complimented the flowing red gowns that the bridesmaids wore. 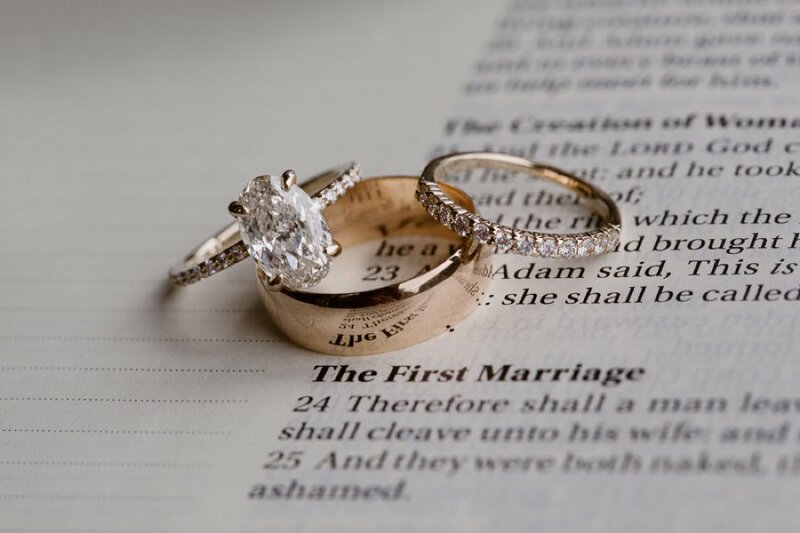 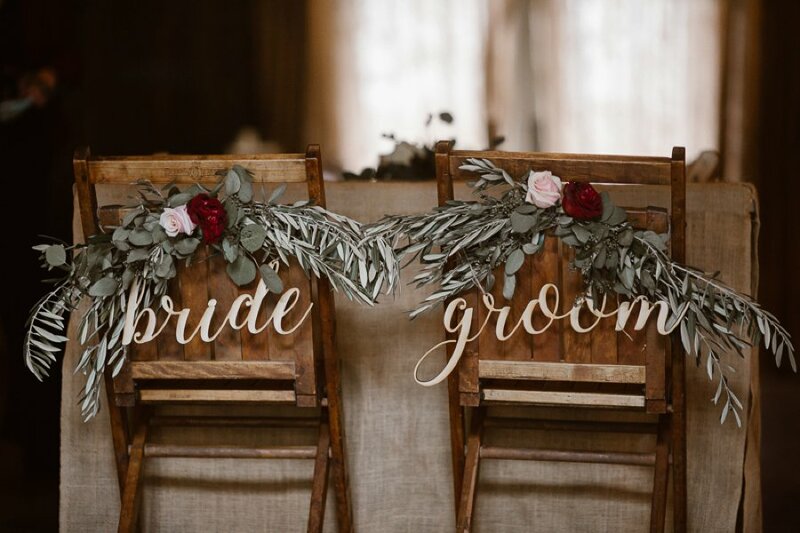 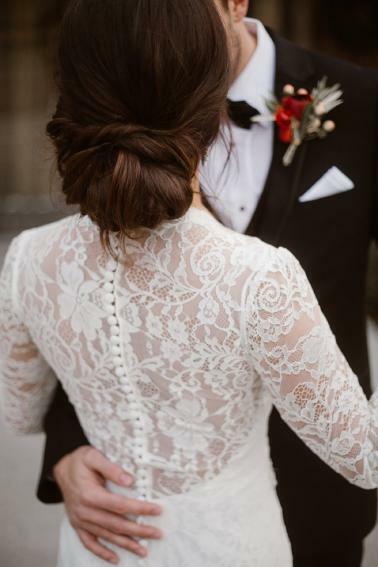 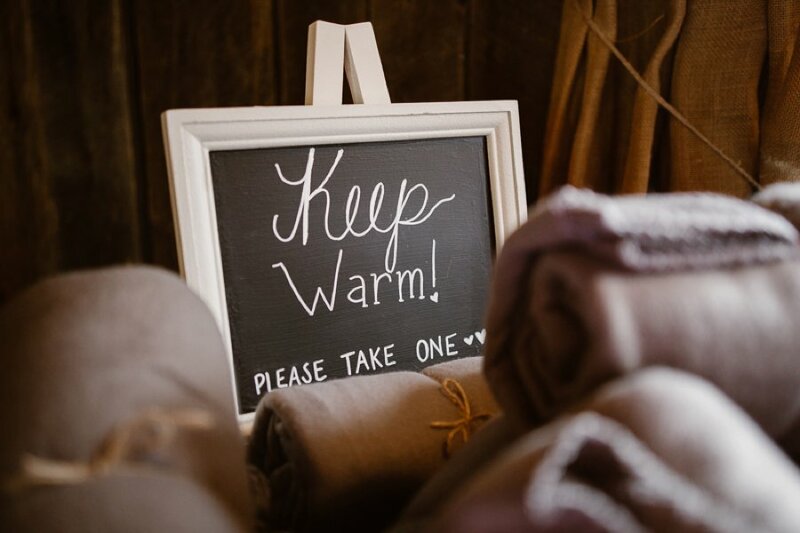 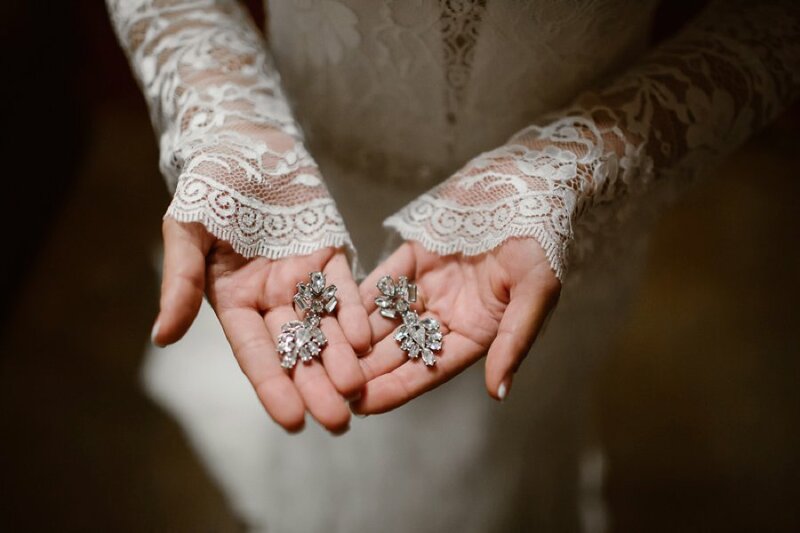 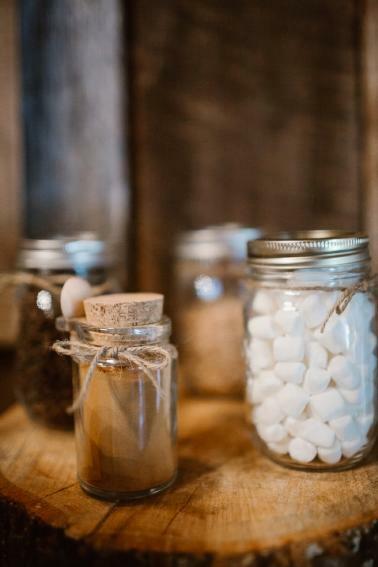 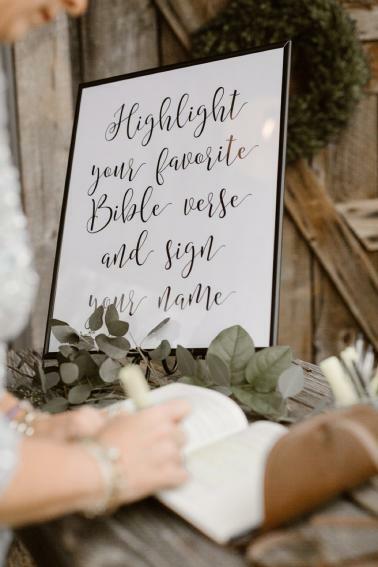 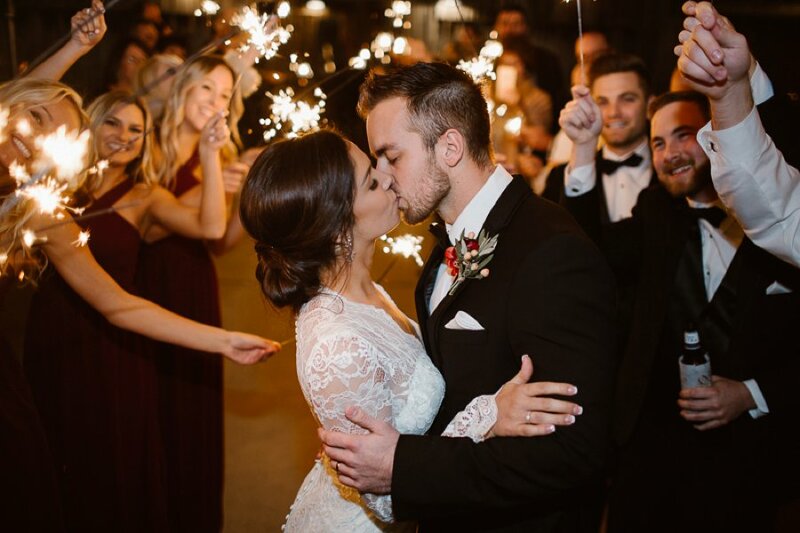 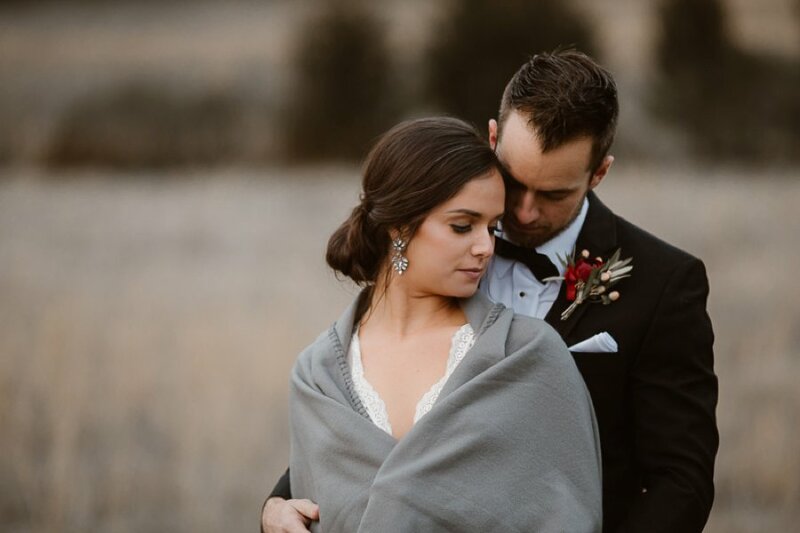 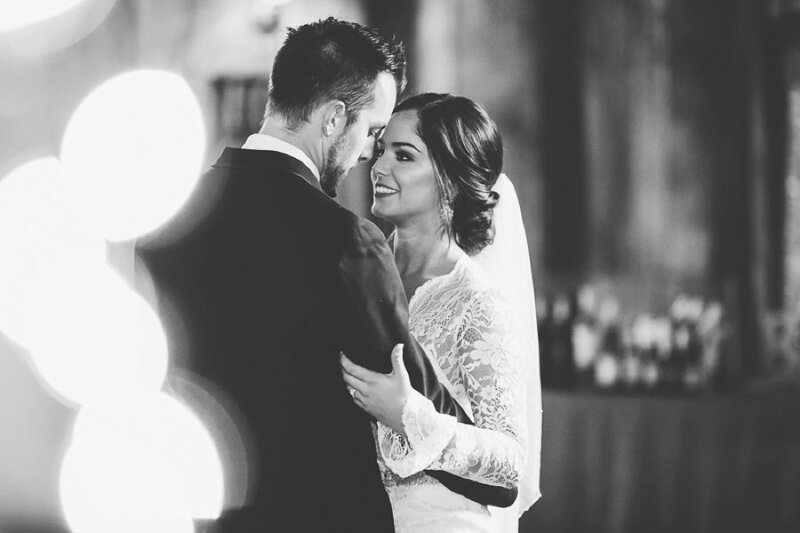 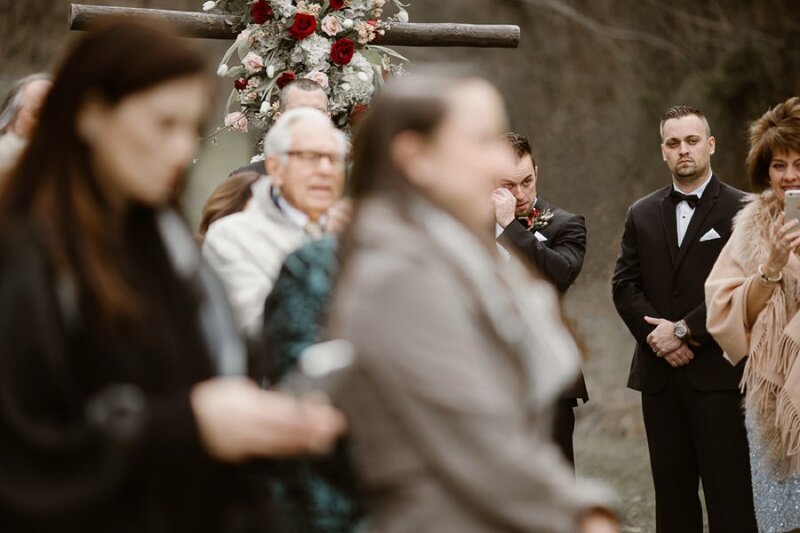 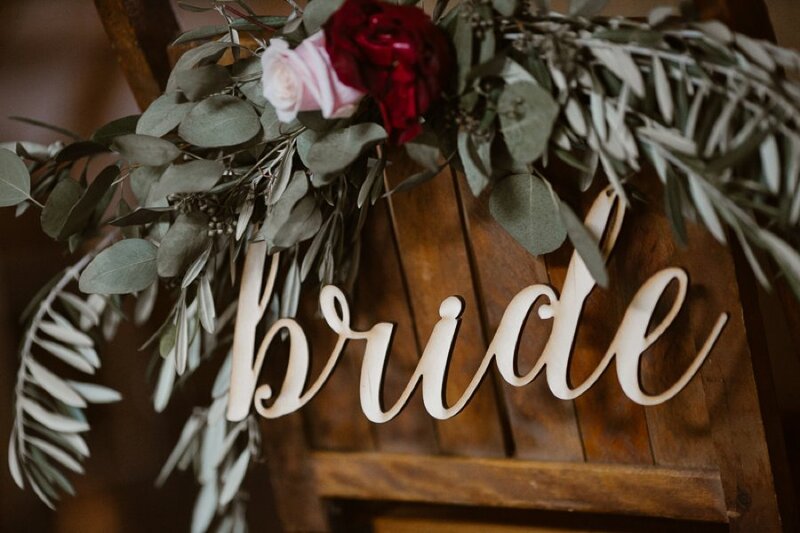 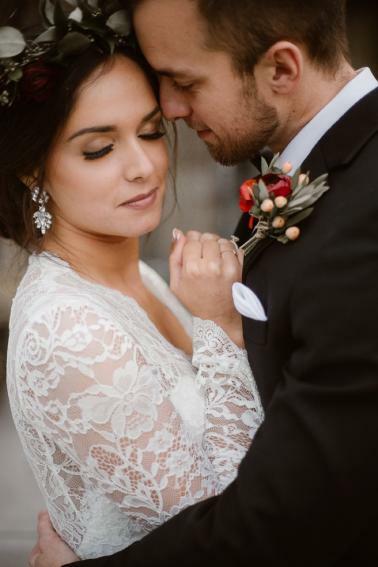 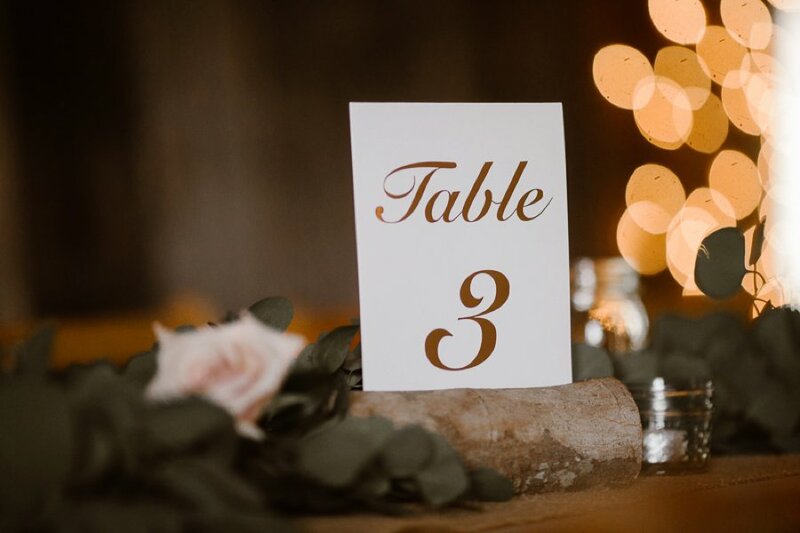 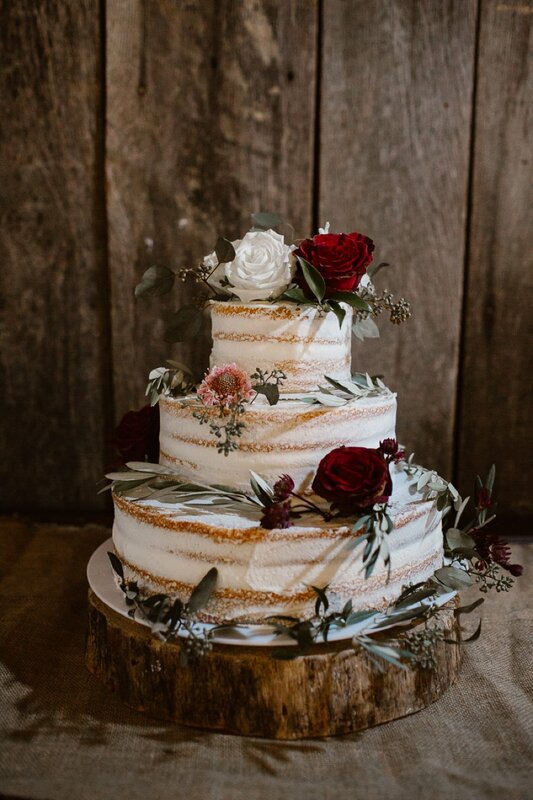 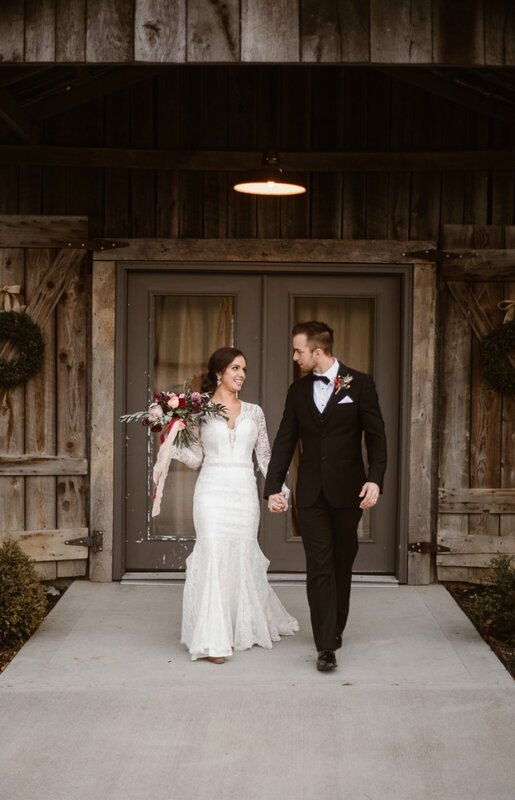 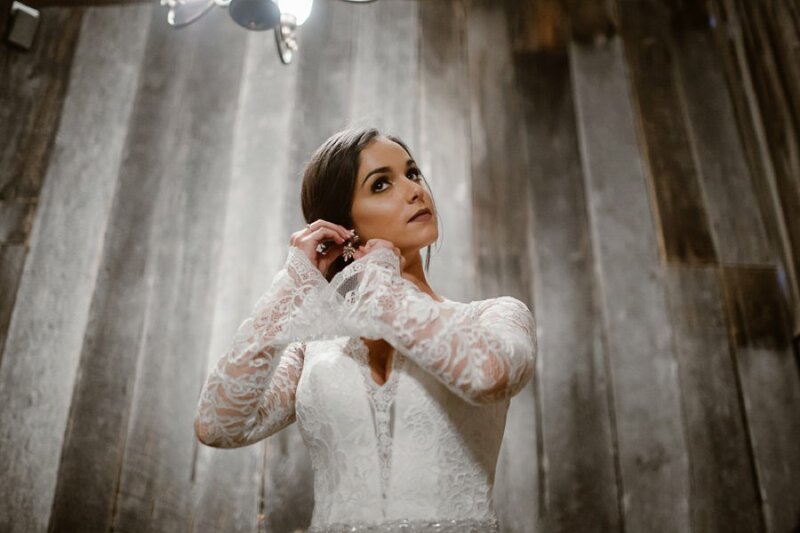 We love seeing how Janna from All About Weddings brought every special detail to life for this couple, and Erin Morrison Photography captured so much emotion and beauty throughout the day. 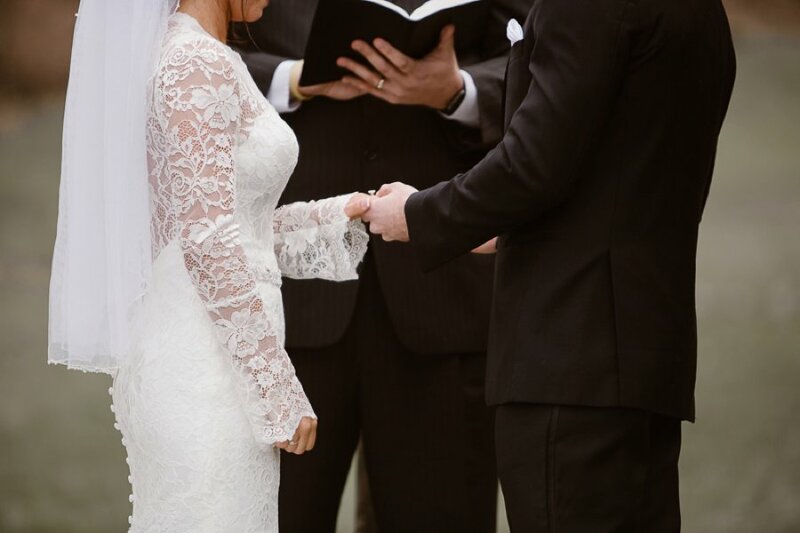 We are thrilled to share this special day with you, and we hope you enjoy! 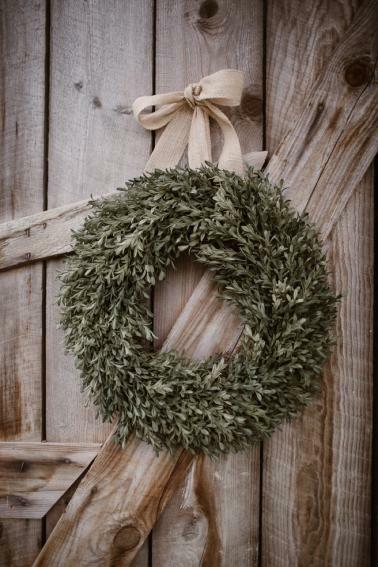 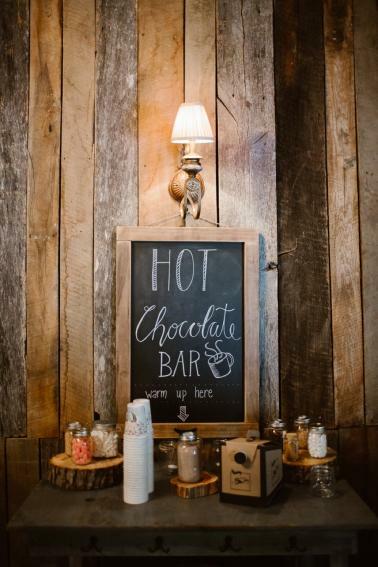 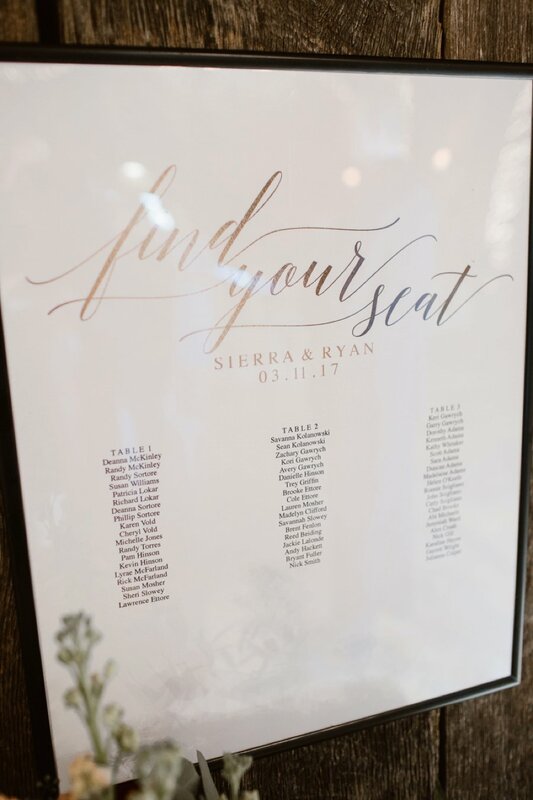 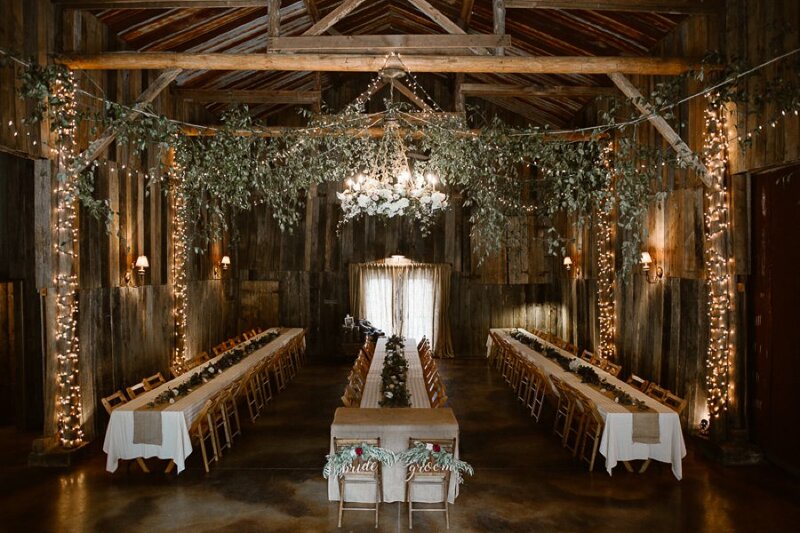 Don’t you just love how they gave an elegant spin on a traditionally rustic style? 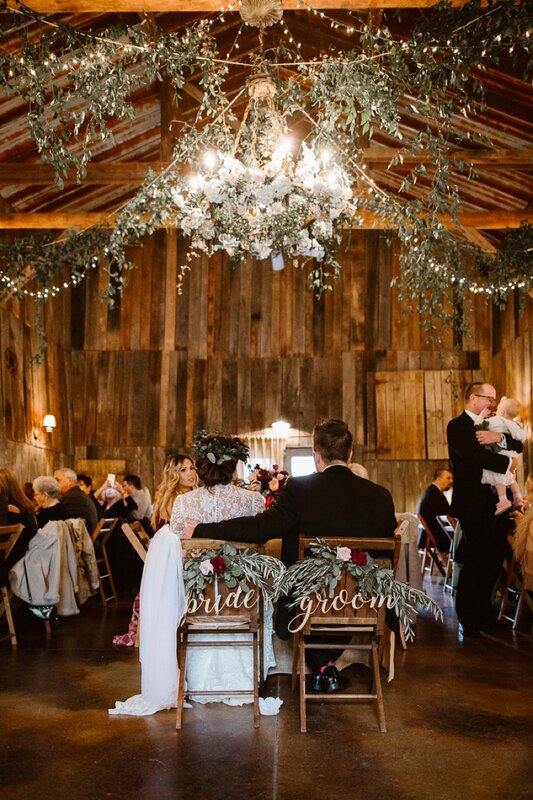 With the gorgeous pops of floral and the lighting and greenery draping overhead in their venue, it really provided a warm romantic feel to the day.